Excel Roofing Services Limited are proud members of The National Federation of Roofing Contractors, the UK’s leading trade association for the Roofing Industry. Delivery of high quality installations as evidenced by both membership of the NFRC and the TrustMark registration. High standards of training including a workforce equipped with relevant, respected qualifications such as City & Guilds, NVQ`s or the Construction Skills Certification Scheme. Innovative, environmentally responsible working practices including the adoption/development of new materials and technologies. Through meeting the strict criteria set by the NFRC and the Government, Excel Roofing has also earned the right to display the TrustMark logo. Established to enable customers to find reputable firms, TrustMark is supported by Government, the building industry and consumer protection groups. Excel Roofing Services Limited are a DATAC accredited contractor within the SIG Design and Technology scheme for specialist flat roofing contractors. We are also accredited for the use of Corus Colourcoat Urban Standing Seam, and Kingspan composite panels and King Zip. 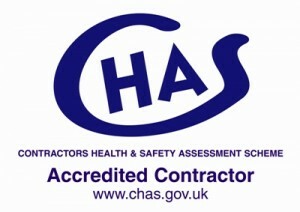 We have fulfilled all the Health, Safety and Training requirements to be a CHAS accredited Contractor, the government backed Health and Safety scheme. We are a Worksafe Contractor; schemes recognised by many of the leading Main Contractors and have met the requirements of the Safety Schemes in Procurement scheme. Our external safety advisors are HCS Safety.